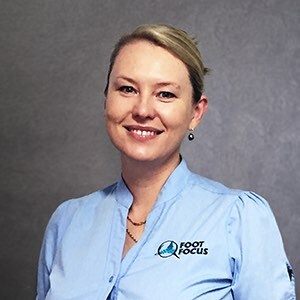 Carissa McMahon is a Podiatrist with over 20 years of experience and key member of the Foot Focus team, now My FootDr. She has been a member of the staff since 2007 and is primarily located at the Casula clinic. She has completed a Diploma of Health Science (Podiatry), and continued her studies in Edinburgh University in Scotland, to achieve a Bachelor of Health Science (Podiatry). Her special interests lie in all aspects of general podiatric care, particularly the management of the diabetic and high-risk foot. On a personal note, travel is a high priority in her leisure time, as well as cheese making.